In the early hours of 2nd July 1940 the SS Arandora Star was struck by a torpedo off the Donegal coast and sank, taking with her over 800 lives. The Arandora Star was one of five luxury cruise liners of the Blue Star Line. She was originally built as an ocean liner and refrigerated cargo ship but converted in 1929 to a luxury cruise ship. With a Louis XIV style dining room, tennis court and swimming pool on decks, palatial accommodation and stunning ballroom she was favoured by the rich and famous. 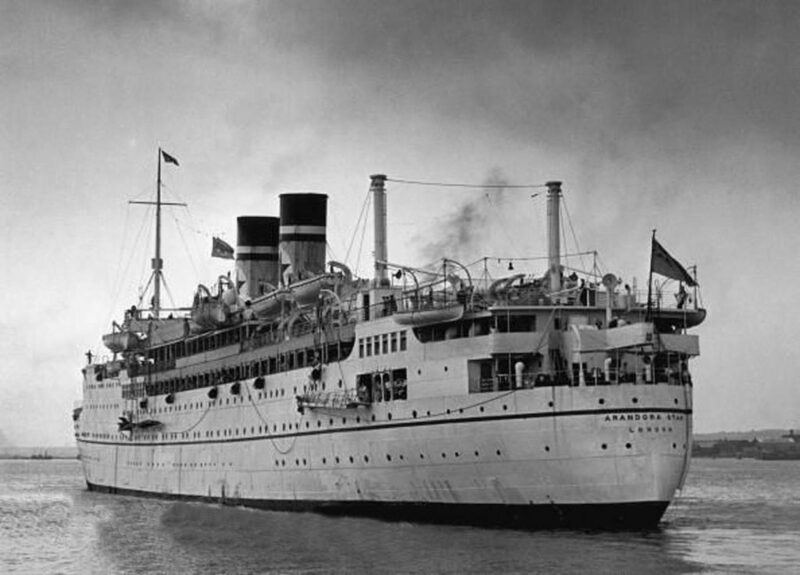 She served mainly out of Southampton and ferried her passengers in style to destinations around the world including Norway, the Mediterranean, the West Indies, Panama, Cuba, and Florida. Her distinctive white hull and scarlet ribbon gave her the nicknames “chocolate box” and “wedding cake”. 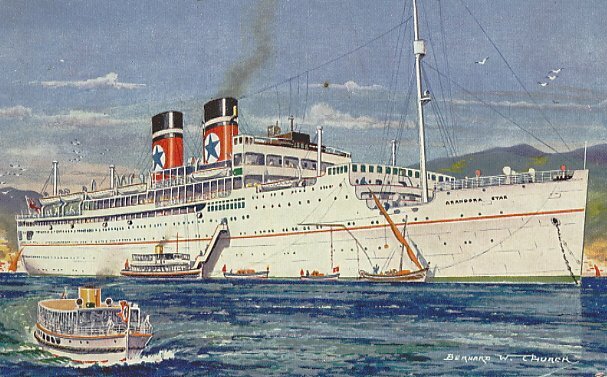 At the outbreak of the Second World War the Arandora Star was requisitioned as a troopship. She was fitted out with experimental anti-torpedo systems, underwater wire mesh suspended from booms either side of the ship. But after testing these were abandoned and removed and the Arandora Star was sent to Liverpool for orders. On what would be her final mission the Arandora Star was to take internees and prisoners to St. Johns, Newfoundland to a Canadian internment camp. She set sail unescorted from Liverpool carrying 734 interned Italians, 479 interned Germans, 86 German prisoners of war, 200 military guards and 174 crew. On the early morning of 2nd July 1940 around 75 miles west of the Bloody Foreland, Donegal the German submarine U-47 struck the vessel with a single torpedo. It denoted and ruptured the engine room on the starboard side. The engine room flooded killing the mains and emergency generators, cutting off communications and plummeting the ship into darkness. The turbines were completely wrecked. 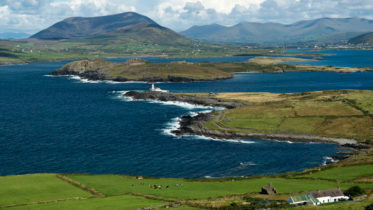 The chief officer managed to send out an S.O.S over the wireless and it was answered by the radio station at Malin Head. Some of the ship’s lifeboats were damaged in the blast but they managed to launched 10 boats and more than half the liferafts. Some of the Italian internees were too afraid to leave the ship, other boats were overloaded and one sank completely shortly after being launched. As the ship listed further to starboard, Captain Moulton and his senior officers walked over the side into the rising water, leaving behind many Italians who were still too afraid to leave the ship. 805 people lost their lives that morning. Rescue arrived around two hours after the ship sunk. First on scene was the Royal Air Force Sunderland flying boat which flew over and dropped first-aid outfits, food and cigarettes in watertight bags together with a message to say help was on the way. The aircraft circled until the HMCS St. Laurent, a Canadian destroyer, arrived and rescued the 868 survivors. In the following weeks many bodies washed up on Irish shores. These were buried in local cemeteries and there are a number of memorials to the victims around the Donegal and Mayo coast.